The world's first adaptive guitar amplifier. 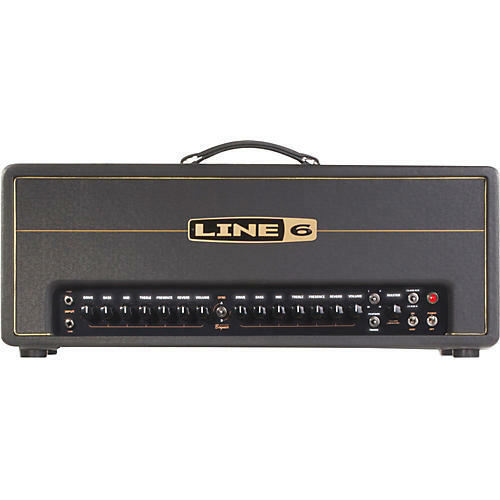 The Line 6 DT50 HD Guitar Amp Head is an amplification system that is able to configure and adapt its analog components and digital modeling in real time. This means that when you select a model, the DT50 Amp instantly reconfigures the tube power section to provide the optimal tone. The digital section monitors the tube power section and can adjust the DSP in real-time. At high volumes, the tubes provide more distortion. At low volumes, the modeling delivers more of the coloration. The digital section now "talks" to the analog section, and vice versa. The Benefit? Great tone and authentic feel at all volumes all the time.